This latest addition to the University of Chicago Press’s Collected Works of F. A. Hayek series showcases the fascinating intersections between two of the most prominent thinkers from two successive centuries. Hayek situates Mill within the complex social and intellectual milieu of nineteenth-century Europe—as well as within twentieth-century debates on socialism and planning—and uncovers the influence of Taylor-Mill on Mill’s political economy. 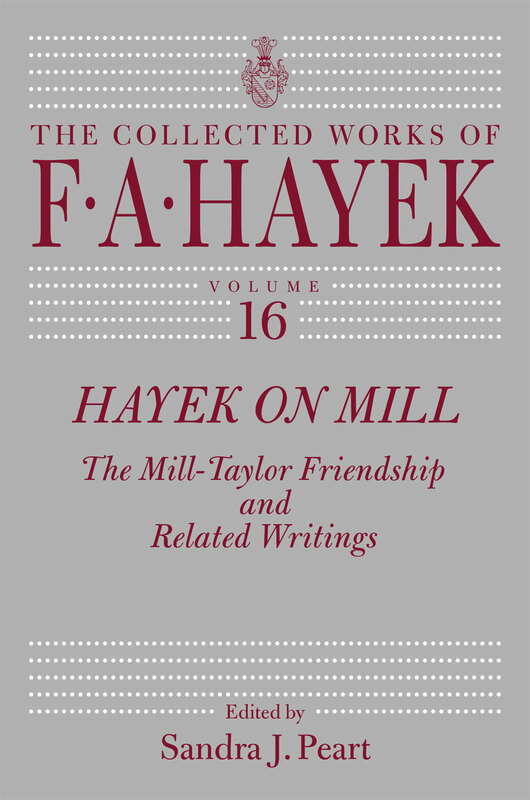 The volume features the Mill-Taylor correspondence and brings together for the first time Hayek’s related writings, which were widely credited with beginning a new era of Mill scholarship.